Outside the ruins of San Francisco, a former UC Berkeley professor of literature recounts the chilling sequence of events which led to his current lowly state—a gruesome pandemic which killed nearly every living soul on the planet, in a matter of days. Modern civilization tottered and fell, and a new race of barbarians—the western world's brutalized workers—assumed power everywhere. Over the space of a few decades, all learning has been lost. Unlike the professor on Gilligan's Island, the narrator is the least useful member of a thriving tribe, whose younger generation (who boast names like Hoo-Hoo and Har-Lip) are mostly descended from the tribe's brutish founder. He was known only by the title of his former occupation, so the tribe's name is: Chauffeur. Jack London, world-famous adventurer and author of The Call of the Wild. 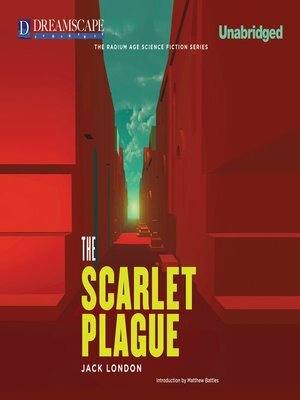 The Scarlet Plague (1912) is set in London's hometown of San Francisco, California.